A rare colour red. We have been working on this colour for some time, hence the difference in price to the others. 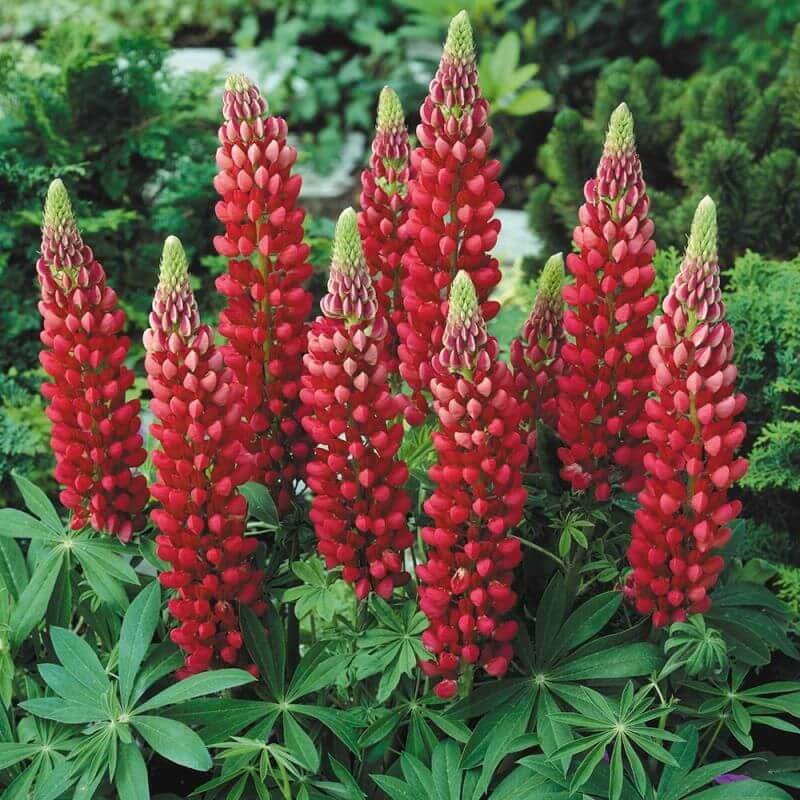 Lupins are a herbaceous perennial plant that grows up to 1.2m in height and a 1m in width. They grow in the Spring and Summer months and often have a second flowering in February. The flower heads are made up from 30 - 100 individual pea-shaped flowers in either single colours or several colours per each flower. Lupin's prefer alkaline (poor soil). Do not use ordinary fertiliser. Use Lime. Use a handful of Lime in the growing season and again in autumn. For Bees. At the beginning of the season, the bee can't break through to the pollen. At the end of the season it can.